Progress on developing true plug-and-play compatibility through ISOBUS connections has been ongoing, although at times, it’s an arduous process, especially in North America. But the collaboration of two independent organizations aiming to streamline equipment functionality could help accelerate the rate of progress. The partnership between the Agricultural Electronics Foundation, or AEF, and AgGateway’s Precision Ag Council is streamlining overall objectives of the two organizations and broadening the network of compatibility stakeholders. 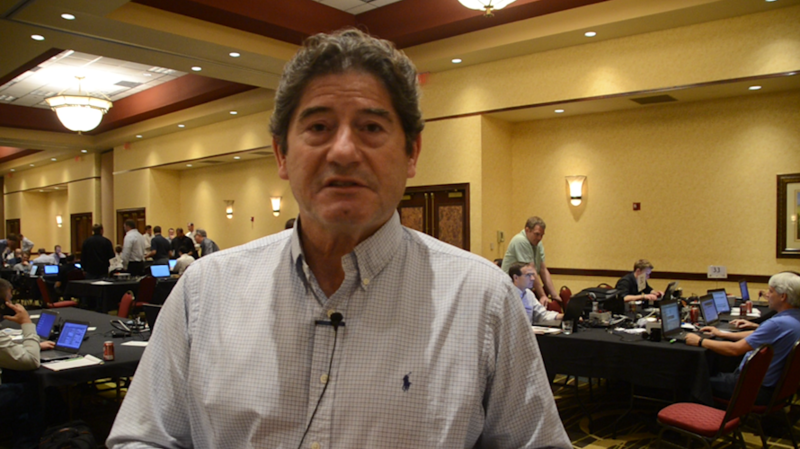 In this video, I share a clip from an interview I had with Topcon senior advisor Joe Tevis at AEF Plugfest earlier this month in Lincoln, Neb. Tevis says the 3-year partnership is an inclusive opportunity to make sure companies and retailers are working toward a common goal.. Compatibility between farm equipment components continues to be the primary source of frustration for many precision farming dealers. The tedious task of troubleshooting functionality problems can sometimes strain dealer relationships with customers and in some cases, suppliers. Talking with Joe Tevis, senior advisor to Topcon Positioning Systems at the AEF Plugfest event earlier this month in Lincoln, Neb., he says that the 3-year partnership is an inclusive opportunity to make sure companies and retailers are working toward a common goal. The AEF currently has more than 190 member companies, primarily equipment suppliers, while AgGateway has more than 200 members including ag retailers, ag input suppliers and software and data service providers.